Oatmeal falls into my comfort food category. Especially in the colder months here in Jersey and even more so when I wake up to snow! 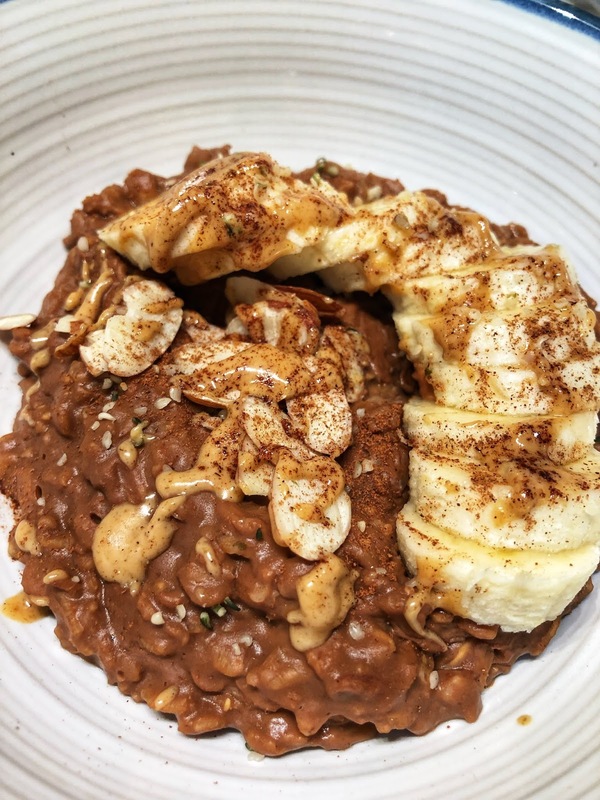 There are many ways to enjoy your oatmeal with fruit, nut butter, veggies....you can enjoy it so many ways! In true pumpkin fanatic fashion, I had leftover pumpkin in the fridge so I knew I would add that in! I love using Trader Joe's Gluten Free Old Fashioned Rolled Oats. I use them for numerous snack recipes from My Fit Life Energy Balls, Banana Oatmeal Pancakes, Blueberry Muffins, and Pumpkin Almond Oatmeal Bars to name a few. This is enough for 2 servings so I sliced half of the banana and saved the other half for the next day. You could always double the recipe so you have it on hand for a few days. Great grab and go breakfast - just heat and eat! If you like your oatmeal sweeter, you can drizzle honey or pure maple syrup on top as well. That's it! As always, super simple, healthy and delicious! 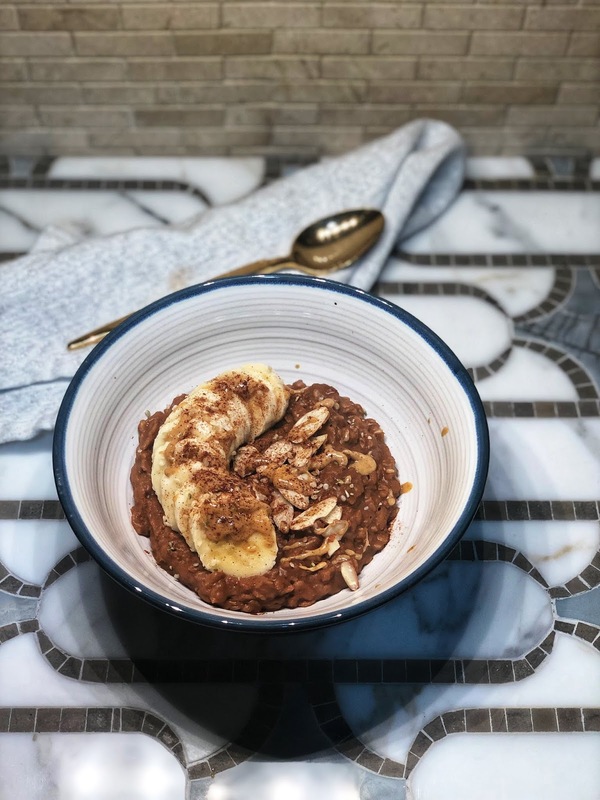 If you make a batch of this Chocolate Pumpkin Banana Oatmeal be sure to let me know on IG at CheriseMazur and use hashtag #cheriseeats so I can find ya! Loving this recipe and want more?! Go to my homepage to subscribe and receive updates right to your inbox! 1. Place oats, milk, cacao powder, pumpkin, vanilla, hemp seeds (if using) and sprinkle of sea salt in the pot over medium heat. 2. Bring to a low boil then simmer for 8-10 minutes until thickened up. If you like it thinner, add more milk. 4. Can store leftovers in the fridge for a few days.